The increase in Ohio’s gas tax has been approved after a long stalemate with House and Senate votes. Legislators decided on 10.5 cents a gallon for gas and 19 cents for diesel. For officials representing Union County at the state level, the vote was difficult but necessary. Rep. Tracy Richardson said she was initially against the increase but went into meetings hoping to better understand what this increase would do for local communities. The increase, proposed by Gov. 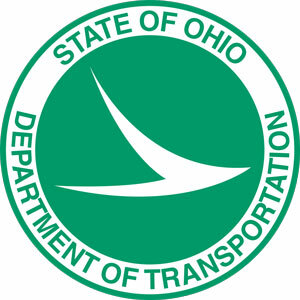 Mike DeWine, initially called for as much as 18 cents per gallon for gas and the tax would be used to cover more than $500 million for road and bridge repairs around the state. The gas and diesel tax is expected to generate more than $800 million a year—45% of which will go directly to counties, cities and townships, Richardson said. She was disappointed in a number of things about the tax from the higher number on diesel to the fact that the change will not be gradual. Richardson also said the state will have to look for new ways to handle funding in the future. Sen. David Burke agreed the decision to increase was difficult saying he’s “not happy but satisfied” with the change. Burke said the hope is that this increase is something they will only have to visit every 10-15 years. The last increase came in 2005. According to a report from ODOT, the current 28 cents per gallon would generate $770,472 for the City of Marysville, but the new tax would increase that number to about $1,252,000 in 2020. The report also shows that other municipalities in the county could see increases in the range of $50-60,000.